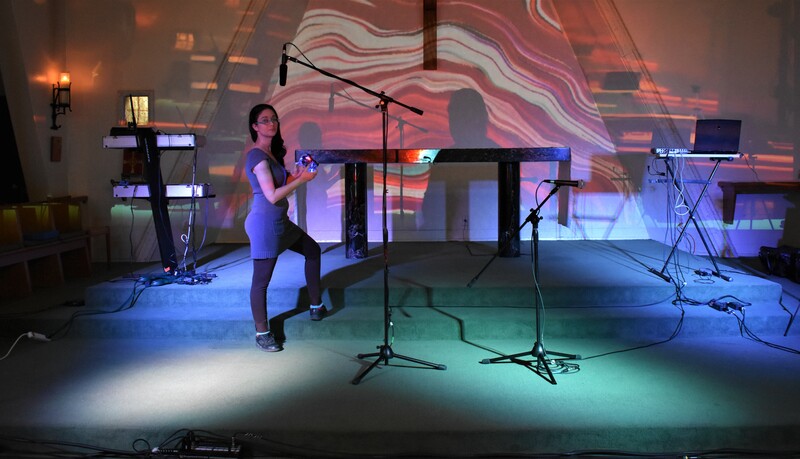 This project showcases development of "Cyborgs are Dancing," an electronic opera-in-progress by Dr. Liza Seigido - one of Miami's award-winning electro-acoustic composers and multimedia artists. Seigido is using Max 8 to process the performance of "Cyborg's" musicians, aid in the mapping of Cyborg's video overlay, program lighting events, and create interactivity between the audience and Cyborg's music and video overlay via a wireless gaming controller. THE DEVELOPMENT OF "CYBORGS ARE DANCING" IS RECEIVING FUNDING FROM OPERA AMERICA'S OPERA GRANTS FOR FEMALE COMPOSERS PROGRAM, SUPPORTED BY THE VIRGINIA B. TOULMIN FOUNDATION. Visit http://psycheopera.com for more details.